Mountain village preserved, Manigod welcomes you with a smile. The place to be for a successful holidays, the village and its valley reserve you many discoveries. Very well-preserved, the valley of Manigod is formed by the river called "Fier". The houses, mainly chalets, cling to the side of the mountain where pines and orchards complete the landscape. 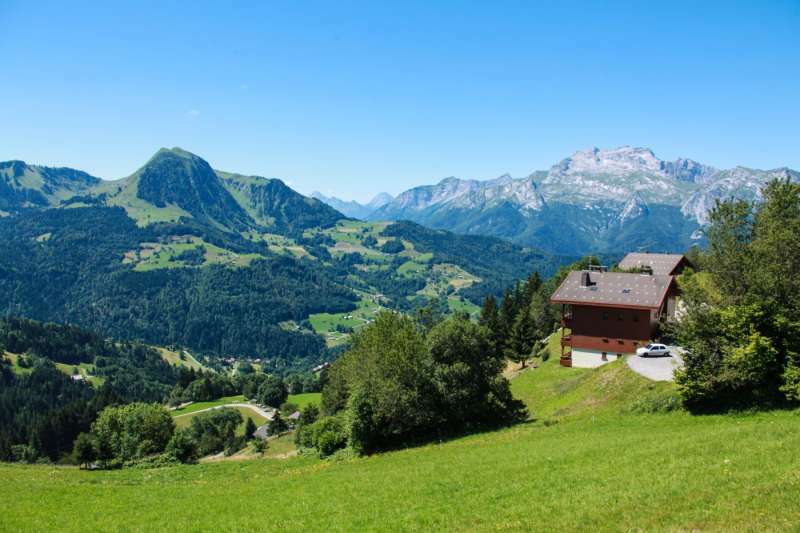 Manigod invites you to live in the amazing place of the Aravis. Outdoor sport activities will delight both young and old alike. Hiking, with among others the GR of country of Tournette-Aravis. Whatever your level, the mountain will reveal the fauna, the flora, the forest, to who knows to observe it and to hear it. The trail of environmental discovery, from the village. The fun run at the Col de la Croix-fry in self-service throughout the summer. Free und heated swimming pool at the Col de Merdassier. To savor with gourmandise your stay, dare gastronomic discoveries, through a know-how and a passion. Our farmers and restaurateurs will treat you with the famous and famous Reblochon farmer AOP. 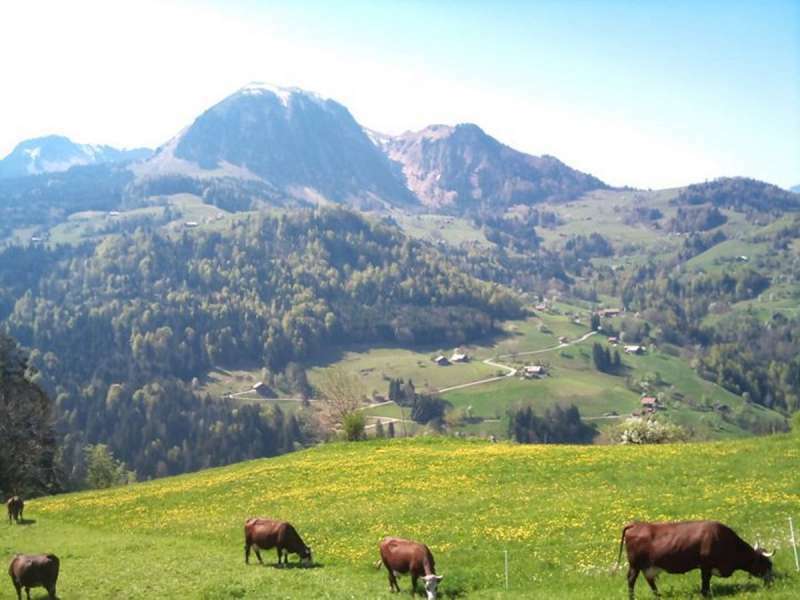 You will find it during visits of farms, organized all summer, and in the numerous and varied markets of the Aravis. Land of heritage, Manigod will unveil to you the paths, chalets, chapels, hamlets, and through them, the rural life, the habitat, the customs of this valley preserved, which will make you go back in the not so distant time of our old. Manigod will unveil to you the paths, chalets, chapels, hamlets, and through them, the rural life, the habitat, the customs of this preserved valley, which will bring you back in the not so distant time of our ancestors. You will visit its heritage house. The village was built around a church, the church of Saint Peter, an organ made of pipes of Italian manufacture allows the organization of concert and technical visits. Come and take place in these magnificent landscapes, the alpine cows, the fauna and the flora in abundance, a return to simplicity, contemplation, the happiness to be in family or with friends.